Pomi Casalmaggiore have closed their market for the 2018/2019 season with the Cuban star. Although we already mentioned this transfer in May, at that moment everybody said that it’s only a rumor, it seems that at the end it became the real. The Cuban star who last season played in Japanese club Ageo Medics, finally became a new member of Pink Family. For the first time in her career, she will play in the Italian league and she will wear the shirt number 14. Before Japan, she played two seasons in Volero and in Volei Nestle also for two seasons. Here you can check her stats which WoV possess. "I'm excited to start this new experience at Casalmaggiore. For some time I wanted to come to Italy to play, convinced that your championship is the most important in the world for the quality of clubs and athletes. Finally, now I've succeeded and I'm sure we'll have fun. I know several of my teammates for having already dealt with them in international competitions or for their fame. 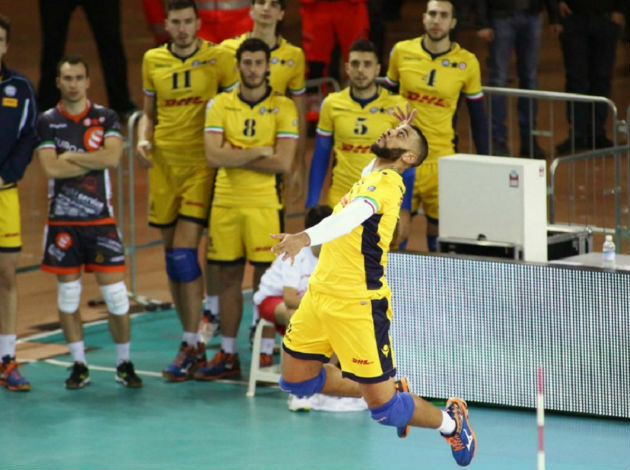 Together we will make a great group and in the court, we will do our best to give satisfaction to the sponsors and our fans" said new player of Pomi Casamlaggiore. She competed in the 2008 Summer Olympics, finishing fourth with the Cuban team. She also played at the 2013 Club World Championship with Voléro Zürich and she was selected Best Outside Hitter. Her team lost the bronze medal to Guangdong Evergrande. Carcaces won the Best Outside Spiker among the Best Team of the 2014 FIVB Club World Championship after her club lost the bronze medal to the Brazilian SESI-SP 2-3. In the 2015 South American Club Championship, Carcaces won the Most Valuable Player award and the silver medal in the continental championship.